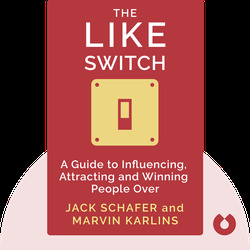 In The Like Switch, author Jack Schafer explores the realm of nonverbal social cues and other communication practices that draws people to one another. 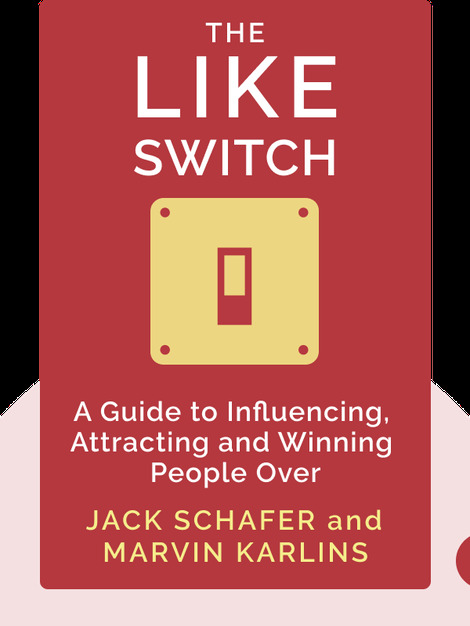 A former FBI agent and doctor of psychology, Schafer presents useful strategies to make new friends and influence people. Former FBI Special Agent Jack Schafer is a doctor of psychology and professor at the Law Enforcement and Justice Administration Department of Western Illinois University. He has also worked as a behavioral analyst. Marvin Karlins is a doctor of psychology and an interpersonal effectiveness consultant. He has authored 24 books, including two bestsellers, What Every Body Is Saying and It’s a Jungle In There.